Investing in education is one of the most promising ways for countries to secure their future. And yet, there is a surprisingly tenuous relationship between the amount of money spent per student and the results of international Pisa tests, at least when comparing relatively wealthy nations. South Korea is one of the highest-performing OECD countries, but spends well below the average per-student expenditure. Students in Poland, which spends around $68,000 (£52,000) per student between the age of six and 15, perform at the same level at age 15 as the United States which spends over $115,000 (£89,000) per student. That means despite spending much more money the US does not gain any advantage in results. More broadly, the world is no longer divided between rich and well-educated countries and poor and badly educated ones and success is no longer just about how much money is spent, but about how that money is spent. The teacher-pupil ratio in China and the United States is almost identical. But the Chinese chose much larger class sizes than are seen in the United States, up to twice the size. That enables the Chinese to give teachers much more preparation time, lesson-development time, time to collaborate with other teachers, time to work with parents and time to tutor students who are behind in class. It is the same cost, but very different approaches. Chinese policymakers traded larger class size for more professional collaboration and more favourable working conditions for teachers, while American policy-makers opted for smaller classes, lower salaries and less time to plan and collaborate. For the first time, the OECD has now looked at the ways in which countries fund their schools. It has not been an easy task. In most countries, how schools are funded reflects decades of layers of decisions on school financing, often with shifting priorities. No one would design a system of school financing that resembles anything close to what we found in the countries that we studied. In some systems, fragmented governance structures are reducing the clarity, co-ordination and transparency of funding flows. In others, the formulas used to calculate per-student funding are so complicated that even those who use them don't fully understanding them. In Uruguay, we found over 130 different programmes targeted at improving equity in education which involve the funding of specific groups of students or schools. Targeted funding can help to deliver policy objectives, such as promoting greater equity, promoting school choice or a form of market regulation. But a multiplication of different funding streams can lead to inefficiency and extra costs in administration. Not surprisingly, one of our main recommendations is for school systems to be much more transparent about their funding policies and how resources are distributed to reconcile quality, equity and efficiency. The presentation of clear criteria that can be scrutinised can help stimulate public debate about what is a fair method of funding. Promoting equity in school funding has two main dimensions. It needs to make sure that funding levels are similar across a system for students in similar circumstances - and at the same time that there is extra funding, above the basic amount, for any additional needs. specific needs related to school site and location, such as rural areas with lower class size. As well as the amount of funding, how it is distributed is also important, because many different layers can be involved, whether national or local government or agencies and down to individual head teachers. Whatever level of governance is responsible, they need to be able to make sure that funding decisions are equitable and accountable. Since the 1980s, many countries have devolved budgets to schools or groups of schools. School autonomy over budgets can give schools much more flexibility over how they use their funding, so that they can adapt to local needs and priorities. But there needs to be adequate transparency and a wider framework of checks and balances to make sure that autonomous, individual funding for schools does not begin to widen inequality. But when school autonomy and accountability and support are intelligently combined, they can provide the leverage to make a very positive impact. A good example is the pupil premium scheme in England, which provides schools with additional resources for each disadvantaged student. On the one hand, the pupil premium is not unique, as many countries have made major strides to better link resources with needs. On the other hand, the way in which the pupil premium has sparked ideas in England's schools is unique. The discretion which England has given schools in how they use the pupil premium, and the accompanying accountability requirements, are exemplary. Creating this kind of ownership for innovative solutions seems to be a very important ingredient. 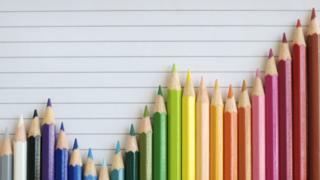 Last year, as the chairman of the selection committee for pupil premium awards, I was intrigued by the diversity of approaches in using the pupil premium, and I wonder whether government could ever be equally imaginative. Many of the schools went beyond exams and results to prioritise efforts around student well-being, such as pastoral care, safeguarding, school uniforms, or breakfast clubs to improving student attendance. Some schools focused on parents, conducting workshops for parents to understand current teaching methods or to engage parents in academic work and assessment, or introducing students to the world of work. But in terms of making the best use of funding, it shows how schools can own the whole process and try to fulfil the potential of disadvantaged students.